Among the jobs left unfilled while men went to fight in World War II were positions on America’s baseball teams. Instead of shutting down until the war ended, team owners decided to start a women’s baseball league. 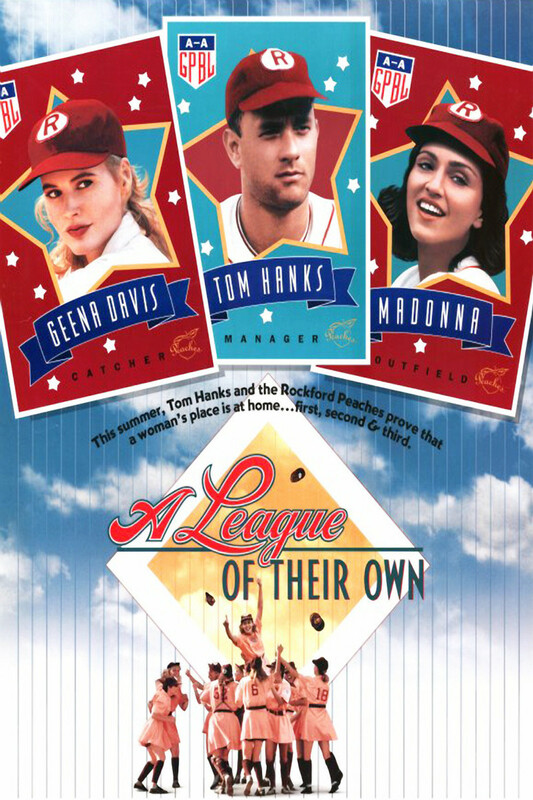 This movie focuses on two sisters, star-catcher Dottie and her younger sister, Kit, a pitcher, as they are recruited for and go on to join the Rockford Peaches. The movie begins well past the end of the war as some of the women are being inducted into the Baseball Hall of Fame. The story continues via flashback and follows the ups and downs of the team and their player-turned-drunk team manager, Jimmy Dugan while weaving in stories of how the team members are affected by the war.